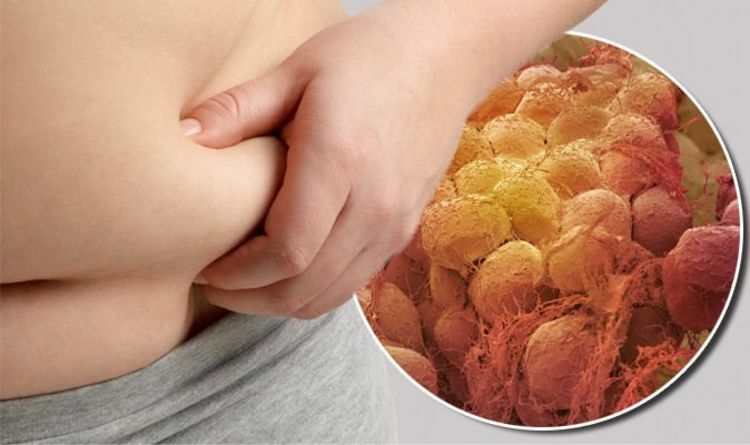 Visceral fat can pose a serious health risk because it’s stored in the abdominal cavity next to many vital organs. It’s not pinchable like other type of body fat, such as subcutaneous, which can also make it difficult to see. Having too much visceral fat can increase the risk of heart problems, type 2 diabetes and high blood pressure. So what can you do to lose it? Eating a poor diet, high in sugar and saturated fat, is one of the main causes of visceral fat, so making some simple changes to your diet is key. Plenty of fruits and vegetables is recommended as part of a healthy diet, as well as the inclusion of wholegrains. Wholegrain can be incorporated into all your meals throughout the day. These seven recommendations follow advice from The Association of UK Dieticians and can become key sources of wholegrains in your every day meals. The dietetics board advises: “When choosing foods from the starchy food group, replace refined cereal foods such as white bread and rice with wholegrain varieties such as wholemeal bread and brown rice. “Wheat, oats, barley, rye and rice are the most commonly available cereals which can be eaten in the wholegrain form. It also noted multigrain is not the same as wholegrain – it means that the product contains more than one different type of grain. “There is currently no advice on what amount of wholegrains to eat in the UK but many experts in other countries say to aim for three servings a day, it adds. Alongside these wholegrain options, another food source that should be included in your meals to help get rid of visceral fat is protein. Dr Luke James, medical director, UK Insurance at Bupa UK, advises: “Protein can be a helpful way to lose weight because it makes you feel fuller than carbs and fat do. “So if you include a lean source of protein in your meals you may find that you’re not as hungry, and overall you’re not eating quite as much as you were. And, some studies have suggested a link between eating protein and having less belly fat.